Pakiyasothy Saravanamuttu Stadium is a tiny stadium with below par facilities hidden in Borella, a suburb of Colombo. Yet, it has the privilege of having hosted Sri Lanka’s first ever test match. It is in this ground, Sri Lanka won its first Test match. It is the only ground in Asia where Sir Donald Bradman played cricket. 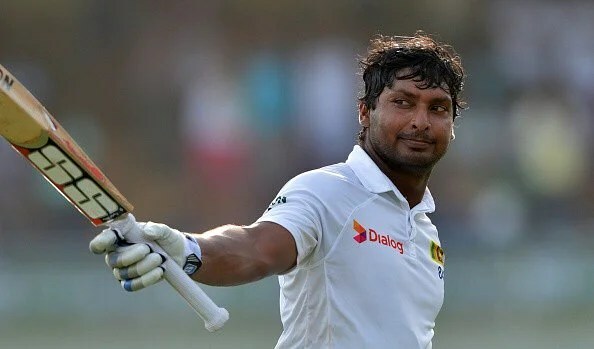 On the 20th of August, 2015, Kumar Sangakkara, one of the most prolific runs scorers of all-time, will play his last test to bid au revoir to cricket in the very same ground. Perhaps, it is destiny that things of great significance to Sri Lanka Cricket must come to pass at this venue. Kumar Chokshanada Sangakkara, dotingly called Sanga, is easily the best batsman Sri Lanka has ever produced. Since the turn of the millennium, no one else has scored as prolific as he has across both ODIs and Tests. The love Sri Lanka has for Sanga is both visceral and cerebral. To love viscerally, only a child can. An adult’s love is more cerebral. Adulthood adulterates love. You stifle words to project faux maturity. You try to pretend mature and that kills your inner voice; your actual feelings. For once, let me get rid of my mask of adulthood and document my feelings about him as a child, with feelings so pristine. Let me let go off my quasi-maturity and let the innocent visceral love I have for him flow unhindered. Then, let me wear my mask again. Let me, paint the cerebral love I have for him. Visceral love is inexplicable. It cannot be quantified. But cerebral love is procreated with logical reasoning. It gives you intellectual pleasure. Much like the love people have for Salman Rushdie’s novels. Let me write about how my visceral love turned cerebral; how my heartthrob became my idol. Sri Lankan’s do not easily fall in love with an individual. Earning the islander’s love must be the toughest in the world. Arjuna Ranatunga won Sri Lanka its first world cup. Yet, he hasn’t garnered as much fan following as Sanga. Sanath Jayasuriya caused many to dance in the isles. And still, not many looked up at him as a hero. Mahela and Murali had everyone’s love, yet, none obsessed over them. Malinga’s celebrations do not have Sri Lankan fans throwing themselves at him as much as the Mumbai fans of him. To have Sri Lankans at his feet, one should be pious, noble, genuine, humble, non-materialistic, simple, skillful, pragmatic, prolific, extraordinary and impeccable. And the only person who could tick all these boxes was the Great Sanga. Sanga is quintessential of how passion and hard work can atone for lack of natural ability. Juxtapose the Sanga during the early part of the millennium with the Sanga now, the earlier would appear like a tail ender. Everything Sanga has accomplished is not the result of a genetic accident. He wasn’t born with those arms that swing like the brush stroke of a seasoned painter to render those voluptuous cover drives. He wasn’t born with those eyes of a hawk that can pedantically read the seam position of balls to help him accurately read spinners and swing bowlers alike. At birth, he never possessed those feet that move sleekly like those of a ballet dancer to allow him to play both off the front and the back foot that make him successful across the world. Instead, they were all procured as a result of timeless net sessions and hours of rigorous practice. If I am to describe him using a superhero, Sanga would be the Iron man of cricket- none of his super powers were privileges accorded to him by nature. He architectured his skills, his abilities and strengths. He is so pedantic with his practice, that at times one is forced to think that he must become a viva examiner at a university. This could be better explained through an anecdote from Paul Fabrace: “I was watching him in the nets and concentrating more on the bowlers than him. But after about 10 balls he asked how his foot was looking. I told him it looked great, as he had been hitting the ball nicely. He puts his body under tremendous duress and onerous training, so much so that at times you suspect whether he is Jainist who ventures to attain moksha by self-inflicting pain. Legend has it that Sachin hardly attended net sessions during the 2003 World Cup, during which balls flew off his bat like kingfishers swooping to catch fish. This is what makes Sanga stand out of the rest. Perhaps, you could argue this is what coerces fans from dissuading the credits he deserve. Cricket wasn’t Sanga’s strength. Batting didn’t come naturally to him as it did to the rest of the greats. Behind every shot Sanga plays, there would be hours of practice, days of fine tuning and years of perfection. Even his defense is arduous and meticulously perfect. Hardly does he play a shot that is effortless or carefree. Blithe batting is not in Sanga’s glossary. A classic Sangakkara innings begins with a lot of struggle. “Even though he looked uncomfortable in the middle, he had this knack for scoring runs”, said Sachin Tendulkar. Plethora of plays and misses, myriad of inside edges, preponderant times getting rapped on the pads, Sanga’s innings begin like a mother’s labor to give birth to her child. Amidst the millions of appeals and the zillion of sledges, he remains as calm as the dully eye of a tornado with everything around it being tumultuous. Life is not about falling down. It is about rising up every time you fall down. Sanga has that sheer tenacity and vigorous obduracy. He doesn’t give up that easily. He waits for the clouds of tribulation to clear and the sun of repose to beat down. He remains as patient as a Buddhist monk. Batting for him is a meditation. It is a subtle art. It is a form of asceticism. It is an extreme ritual of self-control. Like a wise astrologer Sanga picks the right moment to unfurl his compilation of craftiness. Like a butterfly fluttering its way out of its cocoon to glide ever so beautifully, Sanga emerges out of his shell to paint canvases with his bat. It is a moment when art transcends sports; ecstasy trumps pleasure; love wins lust. There has been constant criticism by naysayers about his lack of ability to dominate bowling attacks, most of which were vanquished when he became the first man in the history of ODI cricket to place four centuries abreast in as many innings. Nonetheless, Sanga is of the opinion that a step taken backward is not an insinuation of cravenness but instead a manifestation of tactical brilliance and mental dauntlessness. “Being positive does not always mean hitting all balls to the boundary, for even a leave can be a positive stroke”, Sanga once wrote. He might have a point. If hitting six sixes in an over takes some skill, then playing out six maiden overs in the trot and remaining unflustered takes a completely different skill. Being defensive is not cowardly, for a tiger crouches to attack, an aircraft flies under the radar to plummet aerial bombs. Patience is an investment to attack, like the patience of a hermit stork helping it prey upon a bigger fish. However, it does not mean he is always defensive. He is a cognoscente who precisely knows which ball to attack and which ball to defend. He is brave but not foolhardy. Perhaps, his innings could define the difference between both. When he gets going, it is the ultimate sight any fan would want to see. It is the place where every cricketing soul would want to mingle with; it is where cricket fans glean their spiritual liberation. It is a phenomena between man and divinity. He bats like a vintage Ferrari on an asphalt track. So pleasing. So beautiful. It is like a mellifluous rendition of melody or a hyper-lapse of a classic painting. When he shapeshifts into a devil-besotted with ravenousness he would scourge blowers sans compunction. It is a sight no bowler would want to see, even in their nightmares. He hooks balls like an axe-man, straight drives them like a ballista, pulls them like a lancer and drives them like a billiard player. His cover drives can put Fibonacci spirals to shame. He marauds bowlers with a club laced with silk. Sanga, if he becomes an assassin, might kill men so gracefully, to an extent that you would stop pitying the victim and start reveling in the elegance of the murder. We were born in a war-ravaged generation. To have a man from a country that had terrorists in the North, communist insurgents in the South, superfluity of bombs in the capital city and a surplus of police barricades throughout the remaining of the island and millions of people who were mired in nationalist propaganda, racism, majoritarianism, political jingoism, revanchism and irredentism, go out and humble men all over the world and garner their respect, speaks volumes about what he means to the entire island. We grew up with inferiority complex etched to our brains. We were coaxed to believe that the rest of the world was always better than us, often making us look elsewhere in the world with insatiable wistfulness. Maybe, this is what has resulted in such a mammoth brain and talent drain in the island. For a tiny island which is known as the teardrop of India, Sanga rose as a beacon of hope. He was like a candle light to the youth of the nation who were bogged down in perennial darkness. Watching Sanga conquer land after land in the empire of cricket, Sri Lankans started to believe that despite the lack of amenities they could accomplish their goals too. We started trusting our abilities and we were faithful that the world would pay heed should we commit ourselves hundred percent to our passion. He was what Abdul Kalam was to India. Sangakkara proved, that an ordinary man’s extra-ordinary dreams can materialize should he pursue it with sheer persistence and absolute courage. He single-handedly showed the world what an individual needs in his life to be successful is not talent but passion. He showed the magic passion can conjure in an ordinary man’s life. A multi-ethnic country, embroiled in an ethnic conflict, needs a hero to unite. Sri Lanka needed a leader like Martin Luther King Jr. for the USA, Nelson Mandela for South Africa and Lee Kuan Yew for Singapore. Where could the country find a leader? In the overfed corrupt politicians? In the fallen martyrs of various unsuccessful uprisings? Or in the grotesque cinema heroes of Sri Lanka? Here is where Sri Lanka started admiring Sangakkara cerebrally. In the summer of 2011, in front of the elite members of Lord’s, Sangakkara spoke about the rich heritage of Sri Lanka, its conflicts, cricket and how Sri Lanka should unite as a single nation. “I am Tamil, I’m Sinhalese, I’m Muslim and Burgher. I’m a Buddhist, I’m a Hindu, a follower of Islam and Christianity. But above all, today and always I will be, proudly, Sri Lankan”, uttered Sanga and soon it spread as a fountain of cohesion across Sri Lanka. In Sanga, Sri Lanka found a hero to unite fervently under. His ecumenical nationalism and his pathway to success has become the perfect confluence for the post-war Sri Lanka to pursue and persist. Sanga enamored every youth’s heart and impassioned them with his juicy drives. Moving in his crease as fluidly as Roger Federer in the grass court during his heyday, with his eyes of a ping-pong player, and his suave exterior, it would have been a surprise had Sanga not become a generation’s heartthrob. As the generation grew up, it found many of life’s lessons enshrouded in his style of play. We learned the art of diplomacy in the way he spoke to the media and in the manner he waged his battles with the cricket board. We learnt the craft of leadership in the way he fervently lead the politically wrangled cricket team. In his batting, we learnt many lessons about endurance, patience and persistence. We learnt the value of not giving up. In his humility we learnt to be modest. We realized that bravery is not about physical strength but about mental and spiritual power. Not often do you grow up to say that you are proud about your childhood hero. But Sanga fans not only prided themselves in having had Sanga as their childhood hero but they also grew up to admire his life and follow his pathway. Once a heartthrob became a lamp of guidance. Irrespective of what Sanga has achieved, it is highly unlikely that the cricketing fandom would grant him the credits he merit. Sangakkara represented a tiny island and hence, people can risk to ignore his laurels. Sangakkara may have to live with the curse of being branded as a flat track bully and a minnow basher despite him having done scrupulously well in overseas conditions. Not many have watched Sangakkara bat, because when he played people hardly paid heed. He played for Sri Lanka and whatever Sri Lanka did on field was of less significance. Andy Flower despite being a wicket keeper who averaged in excess of 50 in Tests, continues to live in oblivion for the only reason of having played cricket for Zimbabwe. Big boys in cricket look down at the performance of men from these less significant countries very much like chauvinist men belittling the achievements of women. If limbo is the place where Sangakkara will have to spend the rest of his life, he will more than happy to do so since he is a man who loves a life of simplicity which is evident in the fact that he wanted a low-key farewell amidst everyone wanting to give him a prince’s send off. His gargantuan average might force many to compare him with Sachin Tendulkar and Brian Lara, but the comparison of that sort would be unfair on him since both Sachin and Lara were naturally talented, whereas Sanga worked hard for every inch of stride he made in cricket. Hence, Sanga deserves to stand tall in the league of his own, as someone who constructed his own abilities and skills. The southpaw was self-aware and self-possessed. He identified his limits and battled within it gradually pushing the envelope. Great leaders will often leave an impact in their absence. 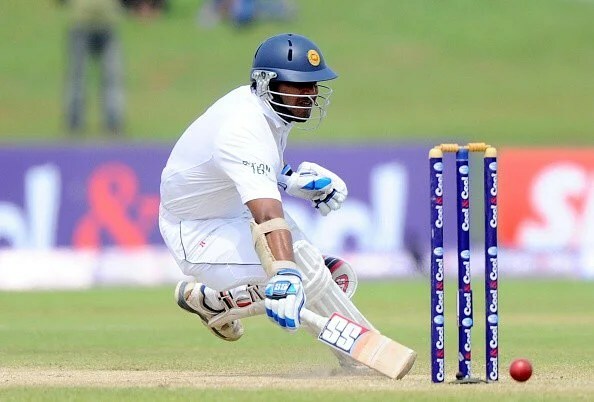 Sanga leaves a huge gaping hole in Sri Lanka cricket. When Sachin Tendulkar hung his boots, India didn’t struggle to replace him. In fact, the transition was so smooth, that it was congruous. Even if Sri Lanka find another batsman to compensate for the vacuum Sanga is about to leave, his astuteness, diplomatic skills and belligerence will forever be missed. Sangakkara had those sparkle in his eyes that is associated with most great batsmen, the sparkle that could hypnotize bowlers when met. Everything about this man was regal. Had the monarchy system of governance been still extant, Sanga would have been born as a Prince. It is difficult saying goodbye to a nation’s hero, especially when he has done so much to the country. He was a perfectionist, but he will gainsay it for that’s what invariably makes him a perfectionist. It’s heartbreaking to bring a kite down when it is soaring high. The light flickers bright before it fades away. Sangakkara’s retirement will hit hard. His batting has been in the surge for the last few years. Now, it is coming to an abrupt end. It will be like being woken up in the middle of a charming reverie where you have a candid rendezvous with your longtime crush. It is like losing the last few pages of a heartwarming novel. The retirement disheartens as much as a DVD getting stuck in the middle of an enthralling movie. His retirement will leave a silence. Like the silence that immediately follows a rejuvenating down pouring from the heavens. There would be that eerie emptiness and an enigmatic vacuum like the calmness that succeeds a storm. For a long time we have got used to the sight of Sanga walking to the crease with his swagger and devil may care debonair- No shields, no armor, no blade, no fleet, yet like a legion that has won the world. It will take some time to get rid of the phantom limb of Sangakkara. Sri Lankan fans would be made to feel like a child suddenly orphaned by his parents. It is his departure that would make one curse aging and question the permanency of life. It will coerce you to believe in nihilism and the transience of life. Only Buddha’s outlook on life would console the hearts that would be left forever wounded by Sanga’s vale. Well what is more to say? Only that there would be that lump of bereavement in the throat. Only that tears of admiration will soak the eyes. The heart would be drenched with pride for what he has accomplished, eyes would twinkle with the yearn to see a lot more of him and frustration would encroach the heart when you realize it is all over. Kumar Sangakkara’s cricketing skills will last as long as the strength in his body but his wisdom will leave a legacy. Like the pitch in Galle, come to dust. Previous story Legends T20 League in USA – Can cricket win back the land of America, one of the game’s first proponents?